Hotel Emit Shibuya is highly convenient and is the best hotel for sightseeing and business in Shibuya. It is a very cozy hotel, with emphasis placed on furniture and space. Especially, breakfast will be served buffet style including freshly baked croissants and select coffee etc. Visitors from overseas that wish for an interpreter can use the 24-hour available three-way calling service. Also, you can watch free in-bound TV in multiple languages. You can use high-speed Wi-Fi free of charge in the hotel. Located centrally between Shibuya station and Harajuku station, it is in the area where popular apparel shops are lined up. Shibuya station and Harajuku station areas are densely packed with all kinds of eateries / shopping spots. Shibuya station is particularly popular with the "Scramble Intersection", "Hachiko Statue", "Cat Street" and "Shibuya Center Street". Harajuku station is the birthplace of Japanese “Kawaii” culture, with the "Meiji Shrine", "Laforet Harajukuku", "Takeshita street", and “Ura-Harajuku" (Backstreet Harajuku) are especially popular. It is popular as areas with the best leading trends in Tokyo. Yoyogi Park is just a short walk from the hotel. Yoyogi Park is a spot full of nature, and with many cherry blossoms blooming in spring, it is one of the most famous cherry blossom spots in Tokyo. Many events are held on weekends. From Shibuya to Asakusa, approximately 33 minutes on Metro Ginza line, with great access to other popular areas. 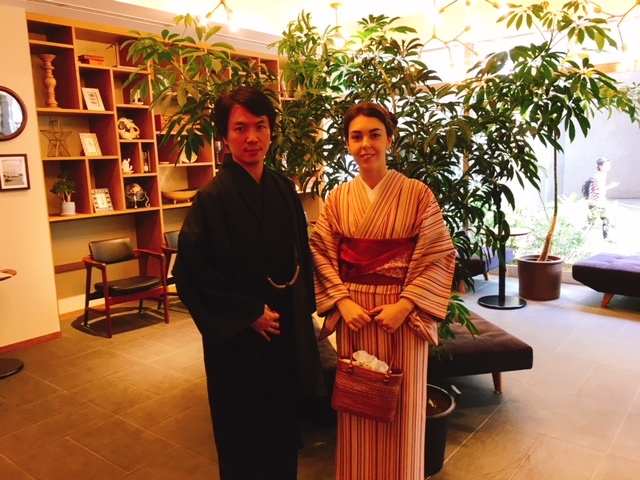 Emit Shibuya Kimono dressing event will be held for accommodation. 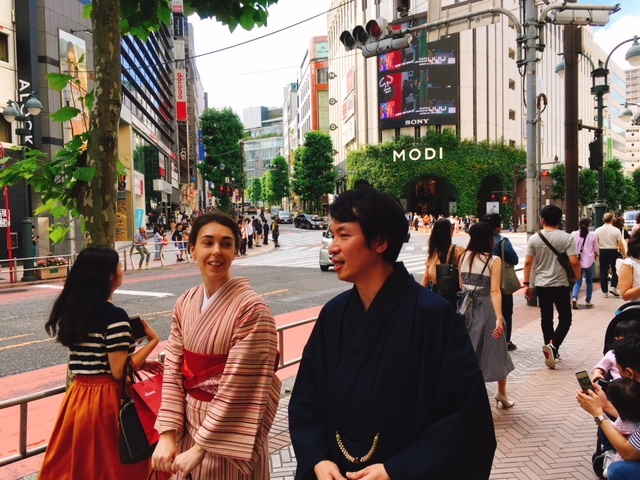 Why do not you walk through the streets of Shibuya with this kimono? Click here for details. © 2019 HOTEL EMIT SHIBUYA All rights reserved.